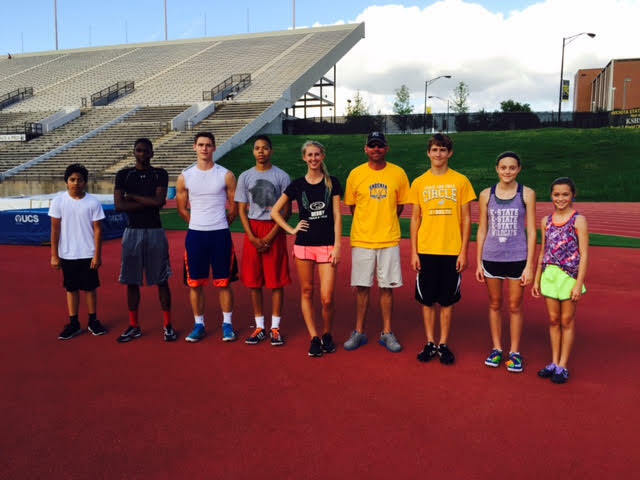 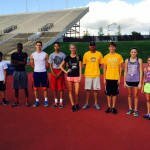 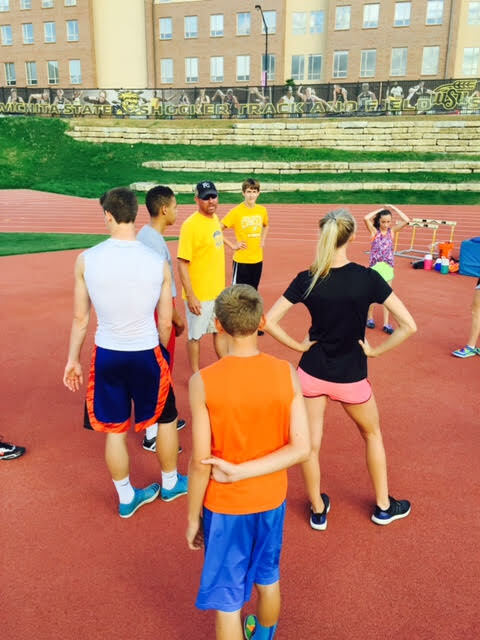 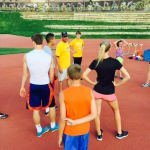 Retired Elite High Jumper and 2000 Olympian, Nathan Leeper, attended Youth Team practice on Tuesday as a “Guest Teacher” in the high jump. 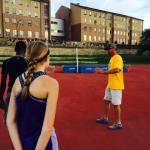 Leeper, a NCAA National Champion while competing at Kansas State University, is a four-time USATF National Champion with a career personal best of 2.35m (7′-8 1/2″). 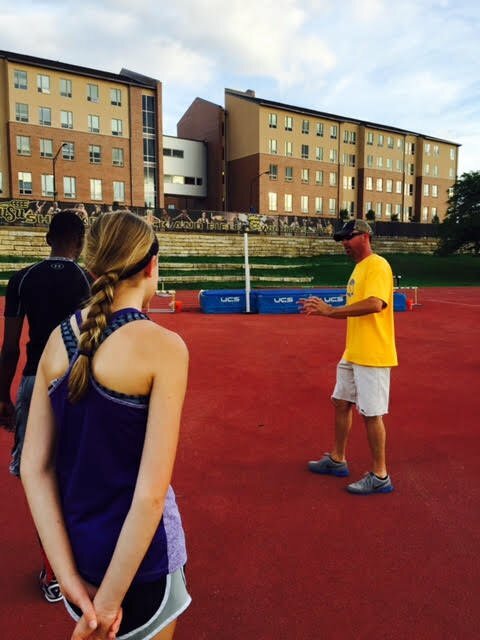 He also holds the Wichita State University Cessna Stadium high jump record with a jump of 2.26m (7′-05″).